It’s my first time to see and cross the bridge. 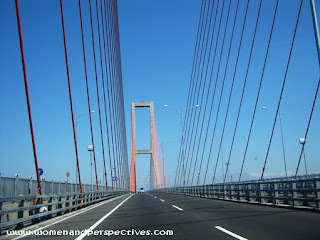 We (I, my husband, and my father) did it last Monday, while I was still in Surabaya (East Java Province, Indonesia). 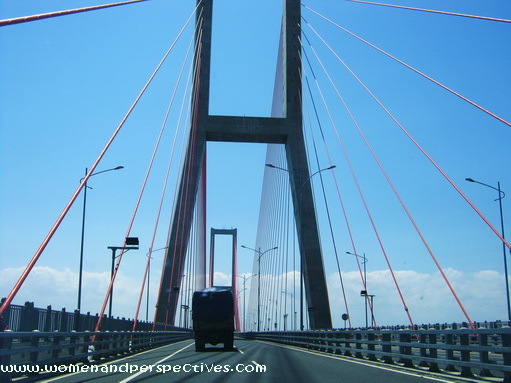 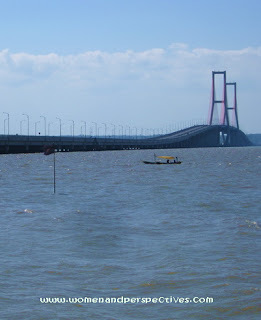 The Suramadu Bridge also known as the Surabaya-Madura Bridge, is a bridge with three cable-stayed sections constructed between Surabaya on the island of Java and the town of Bangkalan on the island of Madura in Indonesia. 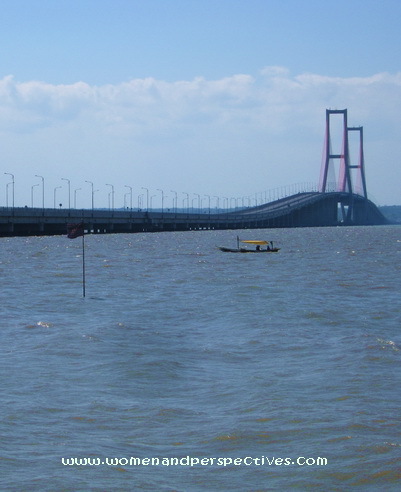 Opened on June 10, 2009, the 5.4-km bridge is the longest in Indonesia and the first bridge to cross the Madura Strait (source:Wikipedia). 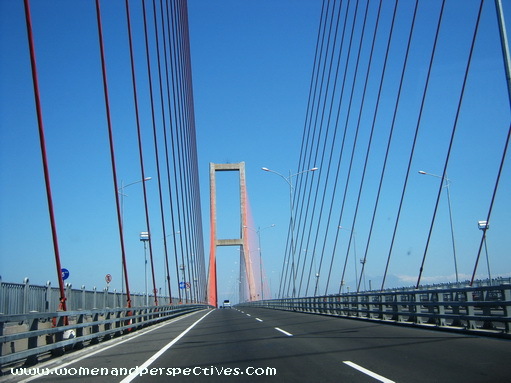 It takes about fifteen minutes to pass through the bridge. 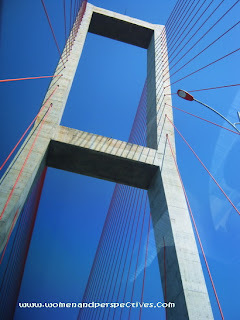 All pictures were captured from a moving car (except the last one); as it isn’t allowed to stop by along the bridge.